동화에서 자주 만나볼 수 있는 파랑새의 몸은 온통 파란색이 아닌, 청록색에 가까운 빛을 띠고 머리와 꽁지깃은 흑색을 띤다. 큰 몸집과 영롱한 색깔로 인해 많은 새와 나무들 사이에서도 돋보여 관찰하기가 쉽다. 침엽수림이나 낙엽 활엽수림이나 공원 및 농경지 부근에서 나무구멍에 둥지를 틀고 서식한다. 특히 부리가 단단해서 종종 전신주에 구멍을 뚫고 둥지를 트는 경우도 있다. 이 새가 지닌 의미는 나라마다 다양하지만, 동화의 영향인지 파랑새가 거쳐 가는 한국, 일본, 유럽을 포함한 모든 나라에서 행복과 행운의 상징으로 여긴다. The Dollarbird is named in English after the distinctive coin-like marks on its wings, and the fact that it has a greenish and bluish color to it that reminds people of the American dollar. 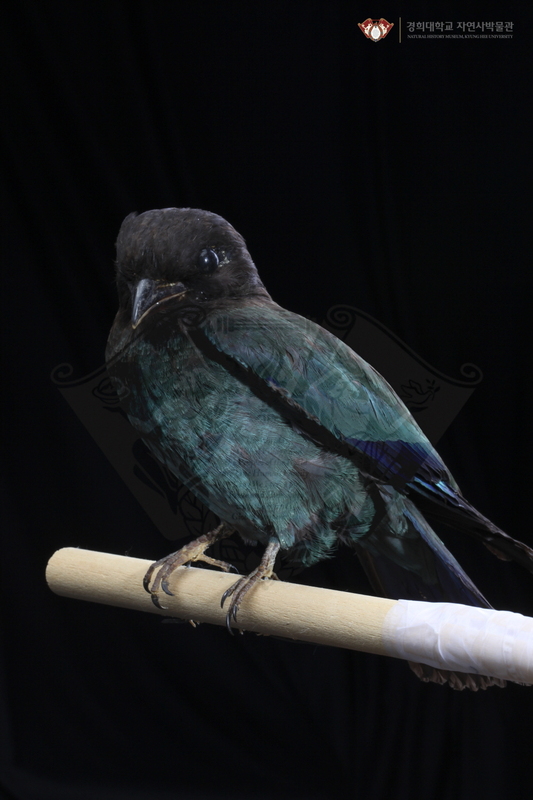 However, the entire bird is not bluish green -- its head is often blackish or darker in colors. Around its neck the color becomes a darker blue and then it continues to get lighter as it goes down its underbelly and around to its back. These birds come to Korea only for the summer. They are known to make their homes high up on tall trees. They do not particularly fear humans and can be seen in parks or in other areas of human habitation. In various locations from Asia to Europe these birds are said to symbolize good luck or happiness. These birds hold a special place among Native Americans who believed that the coloring of the brids was reminiscent of valuable jewels.